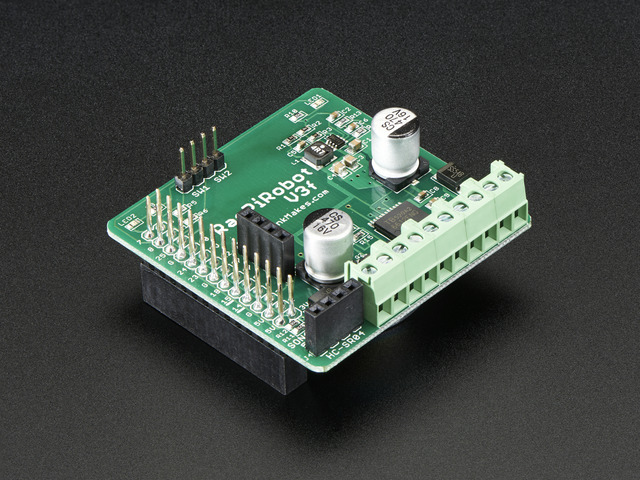 Disconnect your Raspberry Pi from its power supply and plug the RRBV2 onto the GPIO header. If you have a model B+ Raspberry Pi, then the board goes over the headers nearest the edge of the board as shown below. 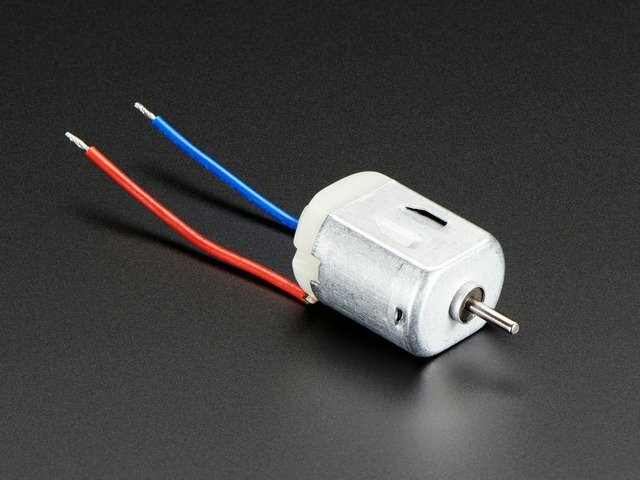 Now attach the motors to the screw terminal pairs marked L and R. It does not really matter which way around you connect the motor leads, as long as the leads from one motor go to the pair of screw terminals marked L and the other motor's leads go to the screw terminal pair marked R. If you swap over the leads for a particular motor, it will spin in reverse. Connect the battery pack to the screw terminals of the RRBV2. 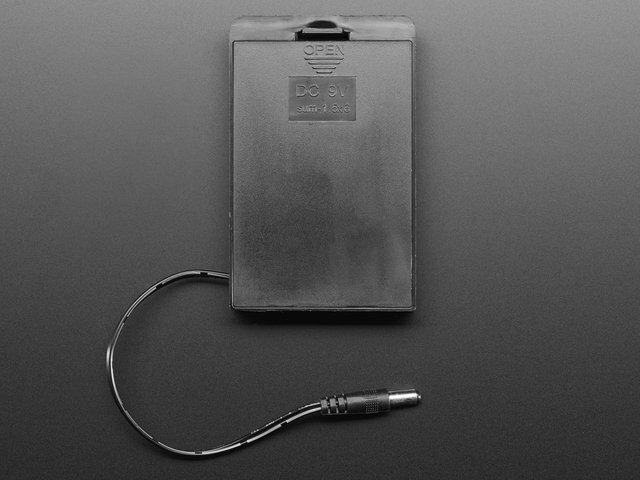 If you are using a battery pack with flying leads then these can be attached into the screw terminals directly. 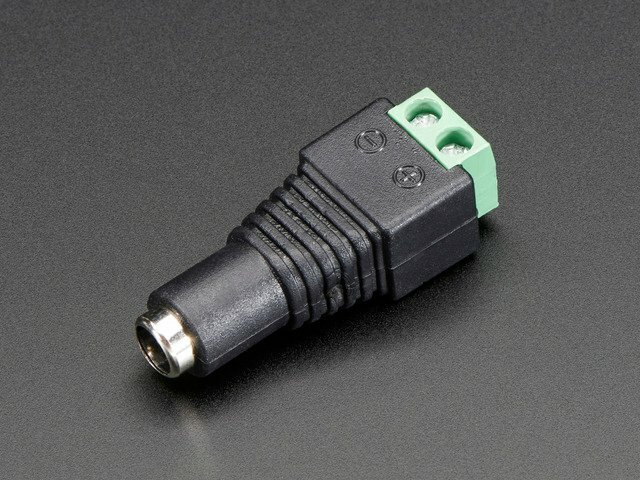 If you have a battery pack with a 2.1mm plug on the end, then either use a screw terminal to 2.1mm socket adaptor like this and some short lengths of wire. When attaching the battery make sure that the positive (red) lead goes to the right-most screw terminal marked Vin and the black lead goes to the screw terminal marked GND. 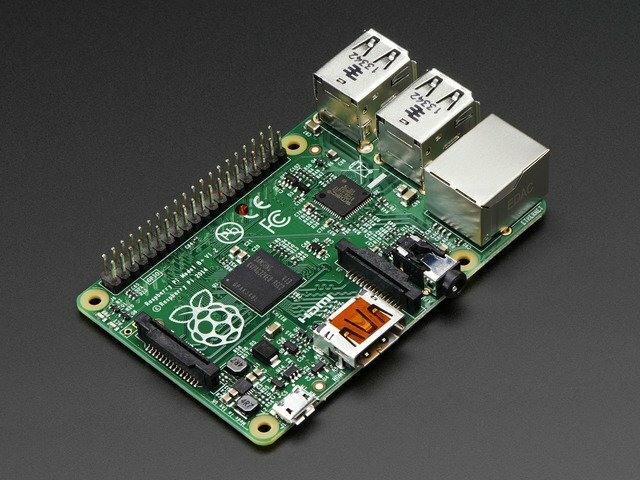 With the battery connected, the Raspberry Pi will start to boot, it will be supplied with power from the battery pack. Rather than type in the long URL above its is probably a good idea to browse to this tutorial from your Raspberry Pi so that you can copy and paste the commands. This guide was first published on Sep 19, 2014. It was last updated on Sep 19, 2014.